HEAVY DUTY - Die cast aluminum housing insures better heat sink and longer life. Light is coated with a protective finish to ensure longer life. MULTI USE- Can be fixed mounted with holes in the attached bracket. 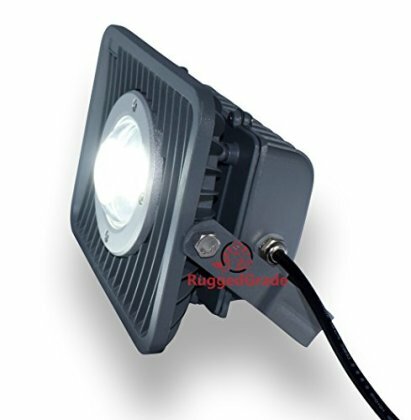 Can also be used as a work light and we include a 3 prong cable that could be attached.